Ardath Louise (Deising) Agle, 96, matriarch of the Agle family, entered eternal rest on September 10, 2017. 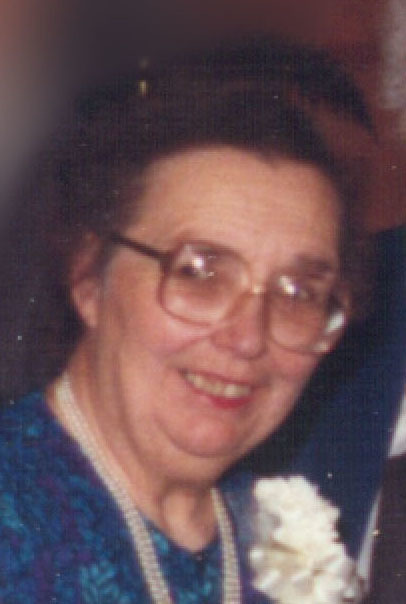 She was born in Onekama on July 21, 1921 to the late Paul and Julia (Steward) Deising. A graduate of Onekama School and Michigan State Normal College, she taught at Onekama School prior to her marriage to the late Charles J. Agle Sr., following which she dedicated her life to farm and family. She was a lifelong member of Trinity Lutheran Church, as well as a founding member of Graceland Fruit Inc. In addition to her parents, and loving husband of 47 years, Charles Agle, she was also preceded in death by her sister; Connie. She is survived by four sons: Charles Agle Jr. and wife Angi of Oak Ridge, Tennessee; Paul Agle of Gaithersburg, Maryland; Bruce Agle and wife Joy of Signal Hill, California, and Mark Agle of Bear Lake. She leaves seven grandchildren: Katie Shukla and husband Sachin of Darien, Illinois; Lisa Beth Agle of Honolulu, Hawaii; Rebecca Lovely and husband Derek of Sneads Ferry North Carolina. ; Sara Agle of Oak Ridge, Tennessee; Anne Agle of Germantown, Maryland; James Agle of Manistee, Michigan and John Samuel Agle of Mountain Home, Arkansas. Family Services and Interment in the Onekama Village Cemetery will take place at a later date. Please visit Ardath’s personal page of memories at www.oakgrovefh.com . Arrangements by the Oak Grove Funeral Home & Cremation Center. To send flowers to the family of Ardath Louise "Deising" Agle, please visit our Heartfelt Sympathies Store.